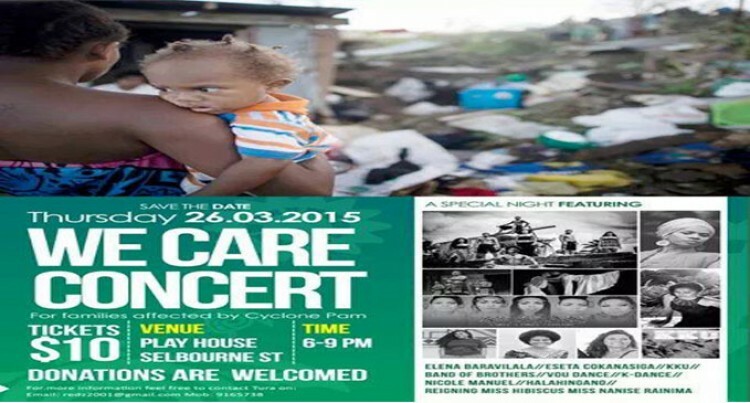 A concert organized on Thursday night as fundraiser for families affected by Cyclone Pam was a success. A group of local musicians, dancers and other performing got together at the Play House on Selborne Street in Suva for the “We care concert”. The lineup saw performances from Elena Baravilala, the Vou Dance Group, Band of Brothers, Nicole Manual, Kula kei Uluivuya (KKU) and Nanise Rainima, the reigning Miss Hibiscus to name a few. The money raised would be handed over to assist Save the Children Fiji in their efforts to purchase relief supplies for those affected in Tuvalu, Kiribati, the Solomon Islands and Vanuatu. Tickets were sold at $10 each. Meanwhile, after a few successful live appearances at night clubs and at various concerts, Fijian hit band Kula kei Uluivuya will be coming down again to the Uprising Beach Resort this weekend. Band leader Viliame Cokanauto said they will play at the resort on Sundary afternoon from 1-3pm featuring local artist Junior Matt. He is expected to play at the resort once a month.